A picture is worth a thousand words so let me know what you think? 2 Amy’s located at (3715 Macomb Street Northwest Washington D.C., DC 20016 Tel (202) 885-5700) has the best pizza in Washington DC and maybe in the USA. They are one of the only Pizza places with D.O.C. (See Below). This is a fantastic and delicious place. They also have a great variety of beer. Simply Delicious!!!!! What is DOC? 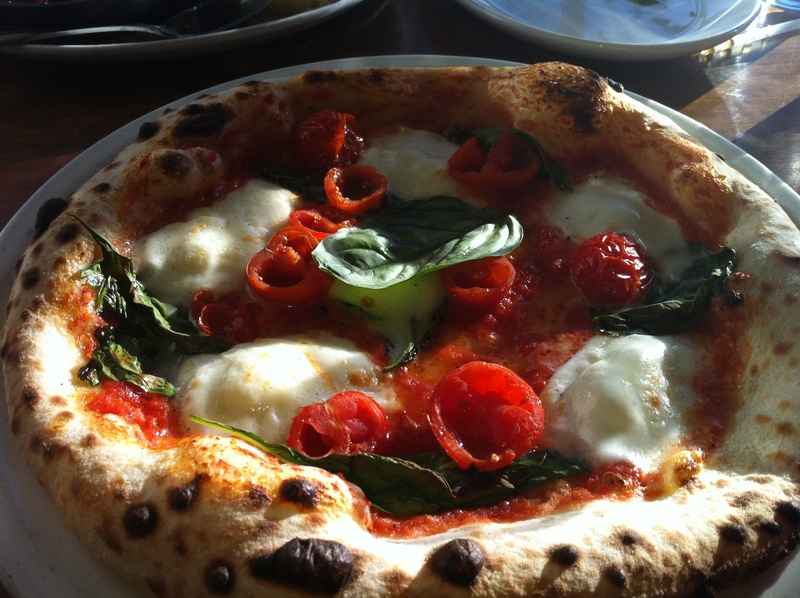 In 1998 the Italian government formally recognized Neapolitan pizza as a traditional food worthy of preservation and granted it D.O.C (Denominazione di Origine Controllata) status, which specifies the legally permitted ingredients and methods of preparation necessary to produce authentic Neapolitan Pizza. Only soft-grain flour, fresh yeast, water, and sea salt may be used for the dough, and only Italian plum tomatoes, mozzarella di bufala, extra-virgin olive oil and fresh basil or dried oregano may be used for the toppings.